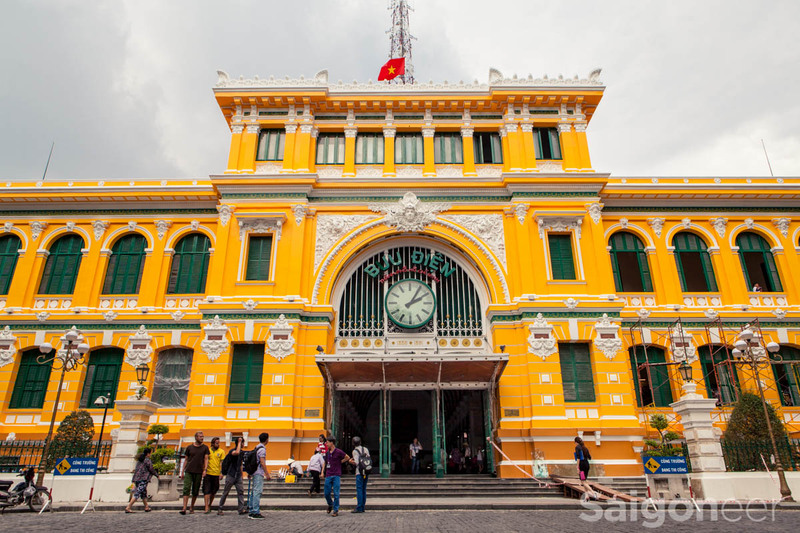 Saigon Notre-Dame Basilica (French: Cathédrale Notre-Dame de Saïgon) is a cathedral located in the downtown of Ho Chi Minh City. Established by French colonists, the cathedral was constructed between 1863 and 1880. It has two bell towers, reaching a height of 58 meters (190 feet). Following the French conquest of Cochinchina and Saigon, the Roman Catholic Church established a community and religious services for French colonialists. 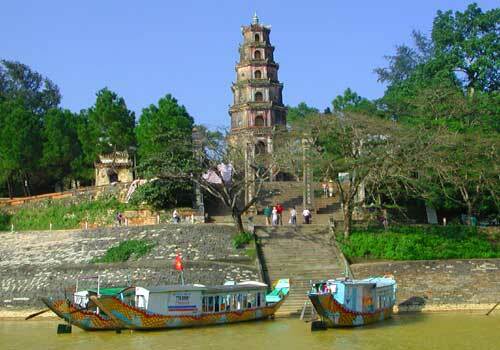 There had been a Vietnamese pagoda, which had been abandoned during the war. Bishop Lefevre decided to make this pagoda a church. The name of the church came from the name of Peaceful Notre Dame Statue in front of this church. 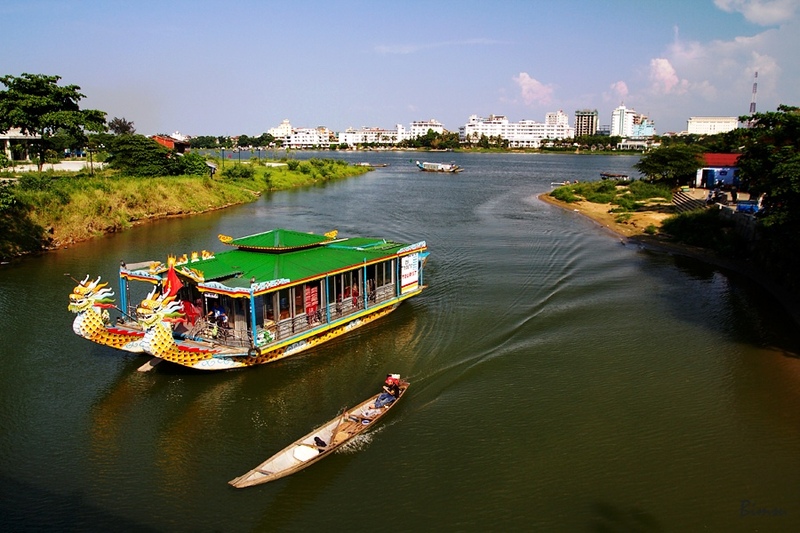 In 1959, it was ordered by Bishop Joseph Pham Van Thien, whose power included Saigon parish when attending Holy Mother Congress held in Vatican. 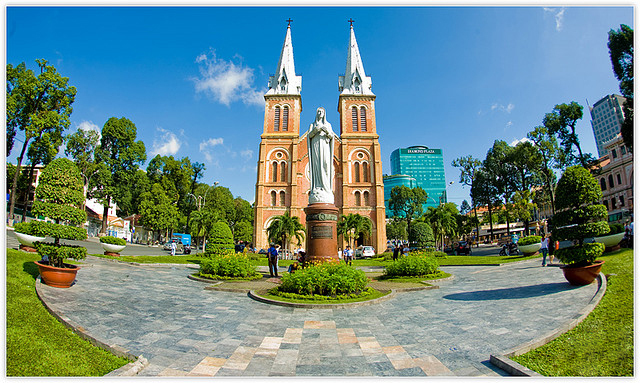 When the granite statue arrived in Saigon, on February 16th, 1959, Bishop Pham Van Thien held a ceremony to install the statue on the empty base and presented the title of “Regina Pacis”. It was Bishop Pham Van Thien who wrote the prayers “Notre-Dame bless the peace to Vietnam”. Apart from the religious meaning that attracts tourists, the even more special captivating point of Notre-Dame Cathedral is its special neo-Romanesque style of architecture. 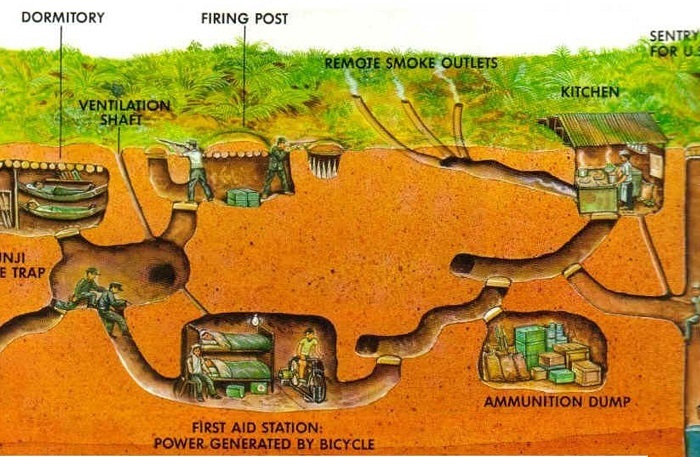 All building materials were imported from France. The outside wall of the cathedral was built with bricks from Marseille. Although the contractor did not use coated concrete, these bricks have retained their bright red color until today. The 56 colored glass windows supplied by the Lorin firm of Chartres Province, France. Tiles have been carved with the words Guichard Carvin, Marseille St André France (perhaps stating the locality where the tiles were produced). Some tiles were carved with the words “Wang-Tai Saigon.” Many tiles have since been made in Saigon to replace the broken tiles caused by war. The cathedral foundation was designed to bear 10 times the weight of the cathedral. In front of the cathedral is a statue of the Virgin Mary. On a whole, the neo-Romanesque architecture and two 58m-high square towers tipped with iron spires dominate the city’s sky line, creating a beautiful religious site. There was a story called ‘A miracle at the Notre Dame Cathedral’ in October 2005. It was said that the statue Virgin Mary in front of the church reputedly shed tears. 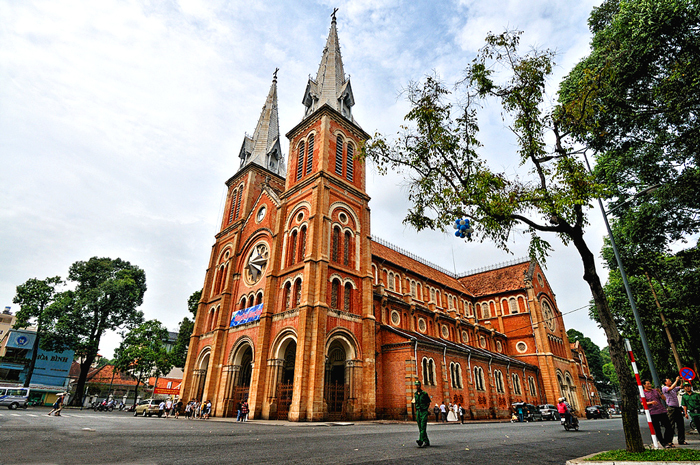 The phenomenon attracted thousans of people visiting and stopped city traffic although the Catholic Church in Vietnam’s official stance revealed that the statue did not shed tears. 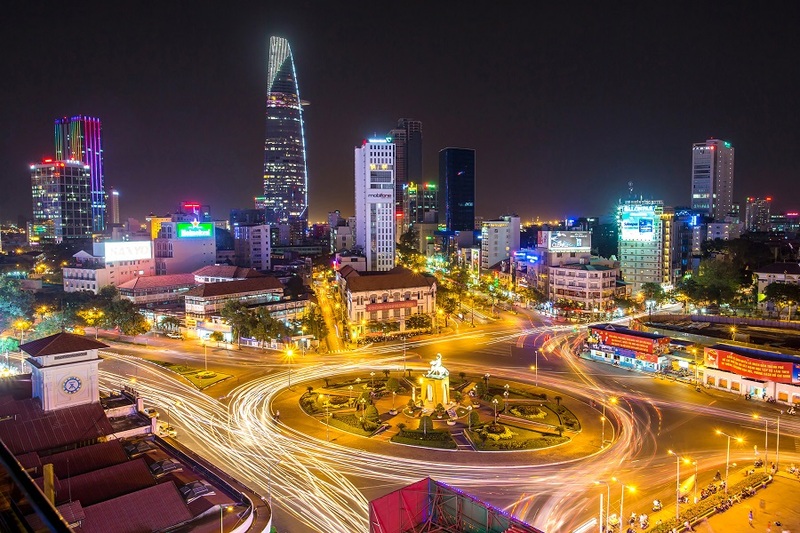 This event also makes the cathedral becoming a spotlight when visiting Ho Chi Minh City.